A horse was seen wandering into the Cheshire Police Headquarters last Monday. The horse had broken loose from a field near the police HQ located in the town of Winsford, England. 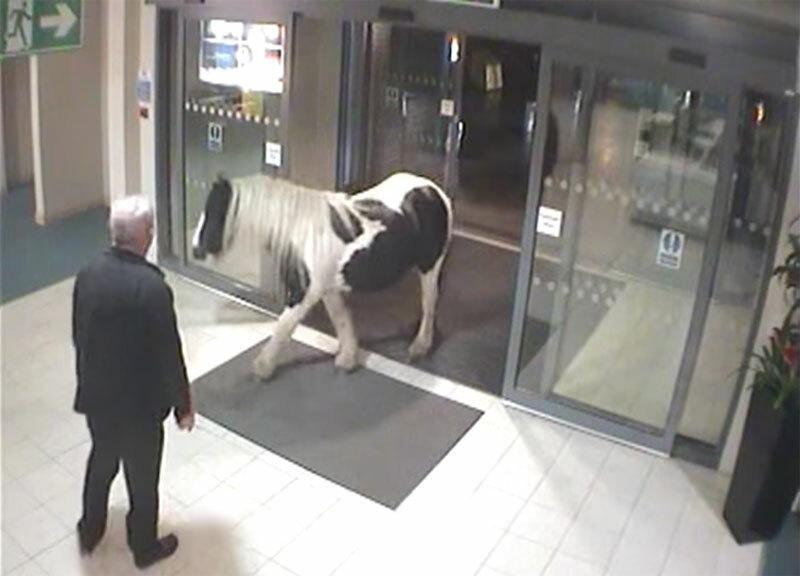 The wandering stallion casually strolled through the automatic sliding doors and was safely escorted back to its owner. Police recently released the CCTV footage from the bizarre event.